Rhode Island may be the smallest state, but it boasts one of the largest and best book festivals in the nation. Thousands of people come to the Book Festival each year to meet acclaimed authors and illustrators from all corners of the country. These authors and illustrators will travel to Providence this October for the opportunity to be featured in The Rhode Island Festival of Children’s Books & Authors, hosted by Lincoln School in Providence. Excitement is already building in the local community and beyond as Providence anticipates welcoming this year’s impressive roster of writers, including Cece Bell, Sophie Blackall, Bryan Collier, Anika Denise, Christopher Denise, Candace Fleming, Natasha Friend, Mitch Krpata, Eric Rohman, Sergio Ruzzier, Anita Silvey, Chris Van Allsburg and Elizabeth Wein. Authors give talks throughout the day, sign books, and enjoy spending time with fans old and new. Among the line up of talent this year is a total of 16 Newbery, Caldecott and Coretta Scott King medals! Young readers and their parents have the chance to meet and talk with the authors, have their books personally signed and participate in bookmaking and other crafts. 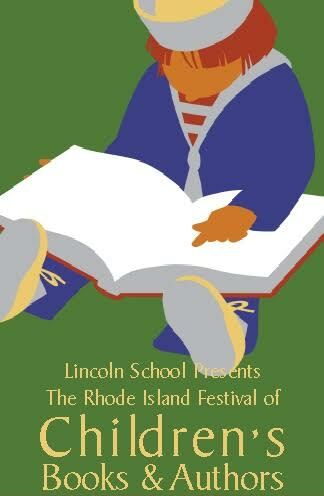 The Festival – to be held on Saturday, October 15th, from 9 am to 5:30 pm at Lincoln School, 301 Butler Avenue, in Providence – celebrates the unique joy that can only be found by opening the pages of a book. Admission is $5. For a full listing of performances and activities, visit www.lincolnschool.org/bookfestival or call Lincoln School at 401.331.9696, ext. 3135. You can also enter to win a family pack of tickets to the event through Wicked Rhody, as well as some books!